If there’s one thing I hear over and over again from my clients, it’s that they want to overcome procrastination. The web is overflowing with posts, podcasts and X-step programs to fix the procrastination epidemic that's running rampant. But what if the answer wasn't to "fix" it, but to find a way to shift our relationship with it? 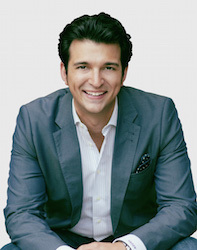 My guest is Self-Discipline Strategist Rory Vaden. His book Take the Stairs is a #1 Wall St Journal, #1 USA Today, and #2 New York Times bestseller. As an award-winning entrepreneur and business leader, Rory co-founded Southwestern Consulting™ and is founder of The Center for the Study of Self-Discipline (CSSD). His latest book is called Procrastinate on Purpose: 5 Permissions to Multiply Your Time. Rory is the world’s leader on defining the psychology around modern-day procrastination, called Priority Dilution™ - in fact, he coined the term. He speaks and consults on how to say no to the things that don’t matter, and yes to the things that do.Rory and I talk about the secrets of time multipliers, getting over introvert overthinking, and making friends with procrastination once and for all.